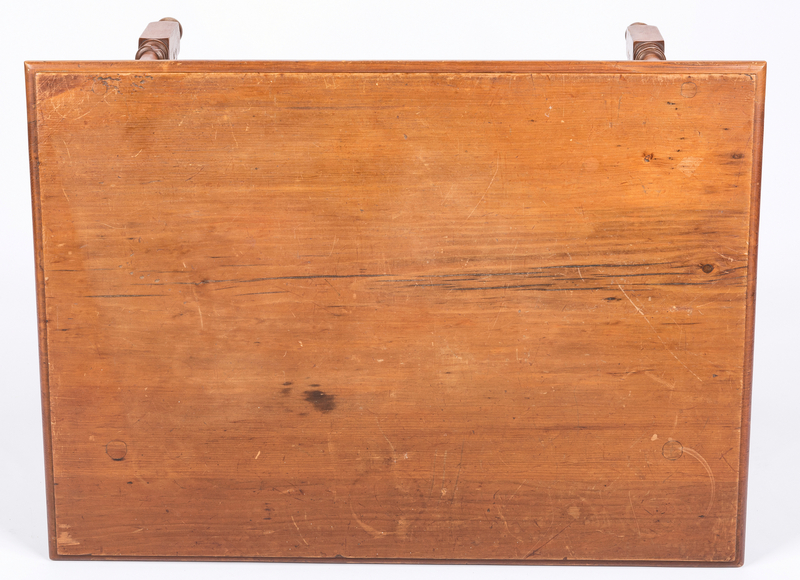 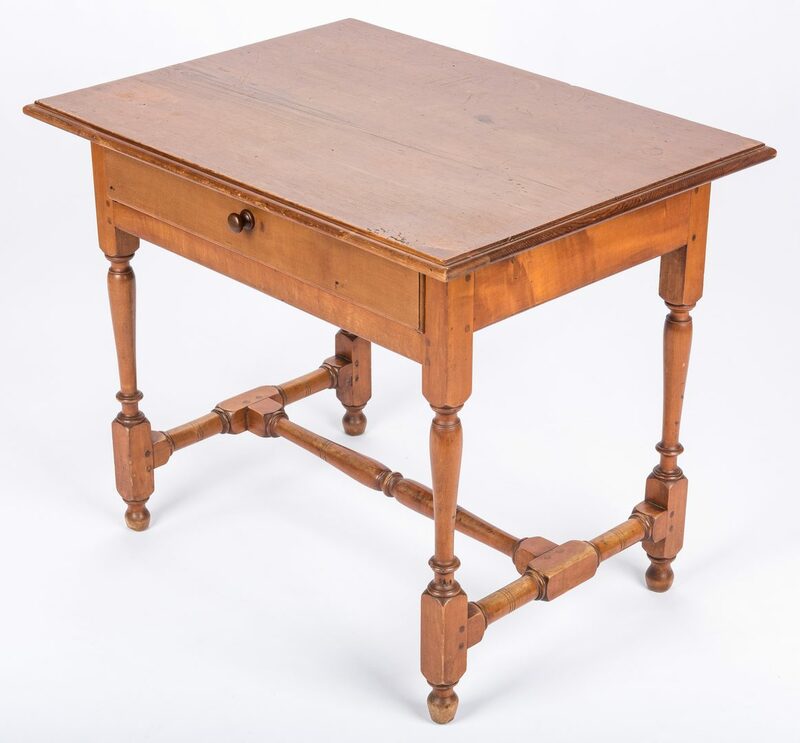 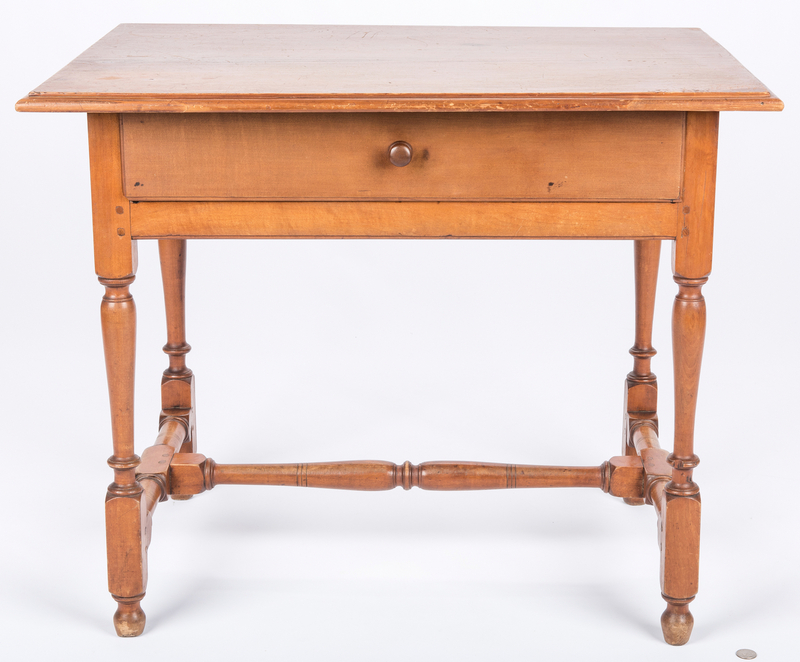 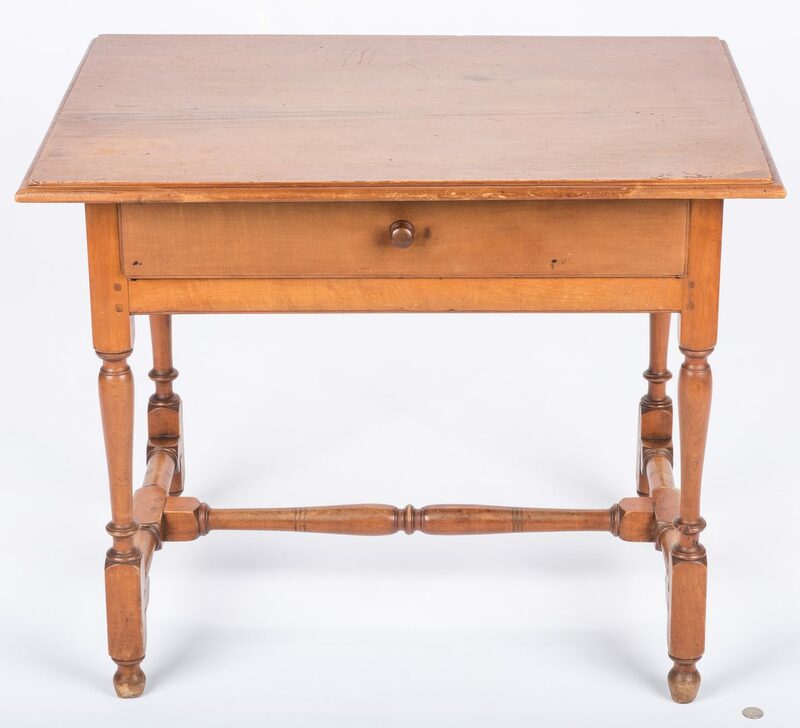 New England, possibly Pennsylvania, tavern table, maple primary, pine secondary. 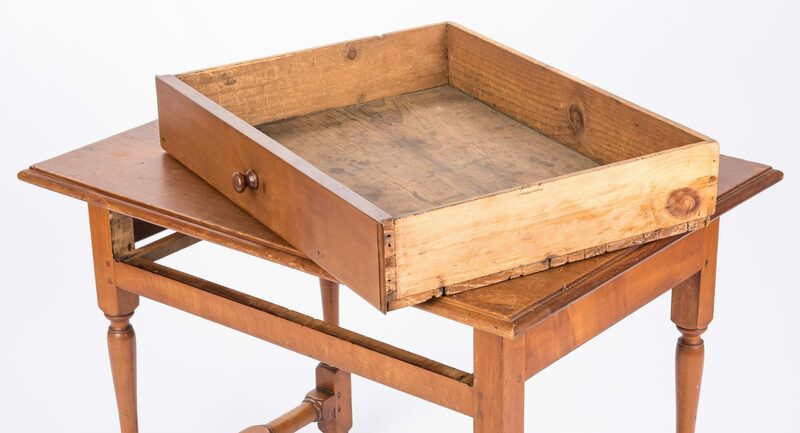 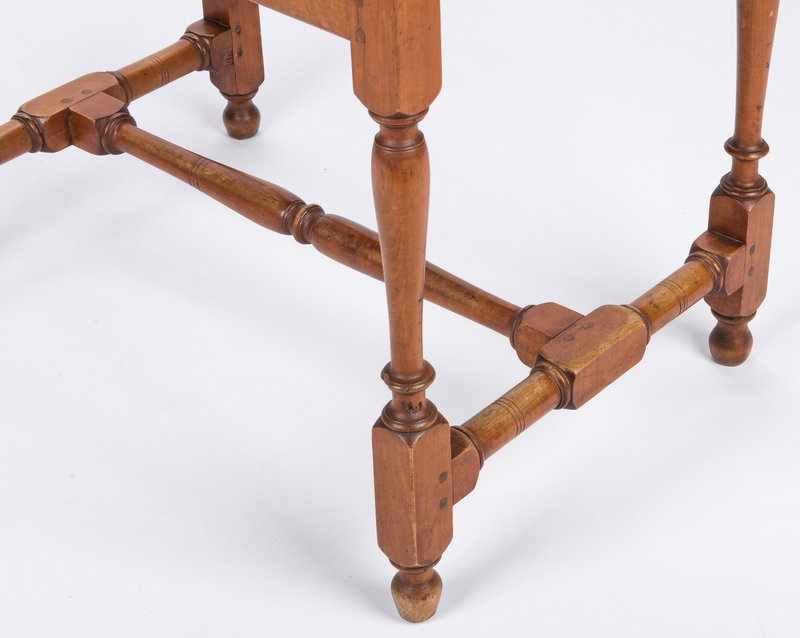 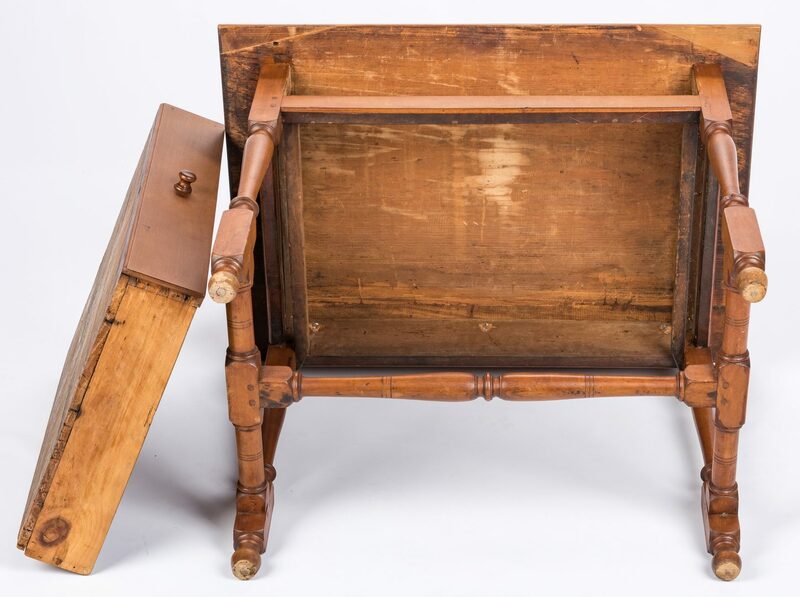 Comprised of an overhanging rectangular top having a molded edge over a single long dovetailed drawer with simple wooden pull, all on vase and ring turned legs with ball feet, connected by a central ring turned stretcher. 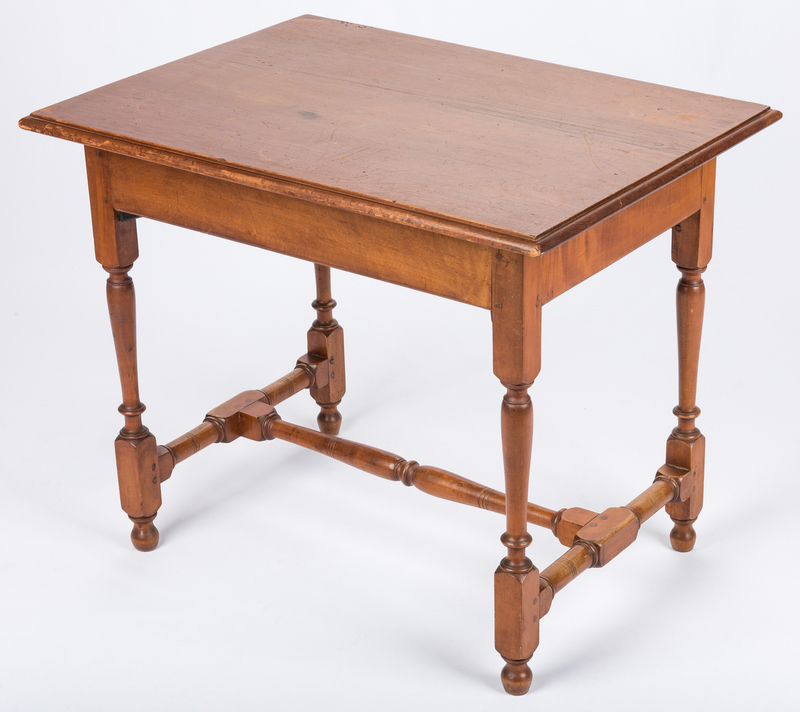 26 1/4"H x 32 1/4" W x 24" D. Early 19th century. 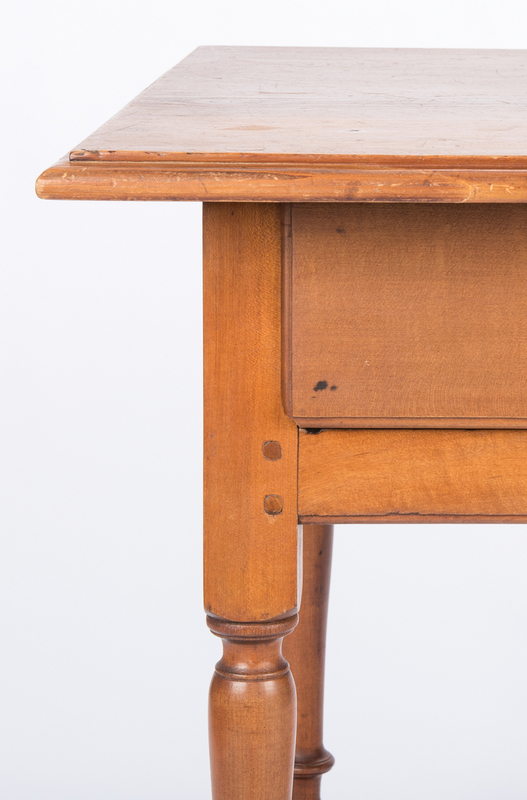 CONDITION: Top repositioned atop base, old repairs to 2 corners of top. 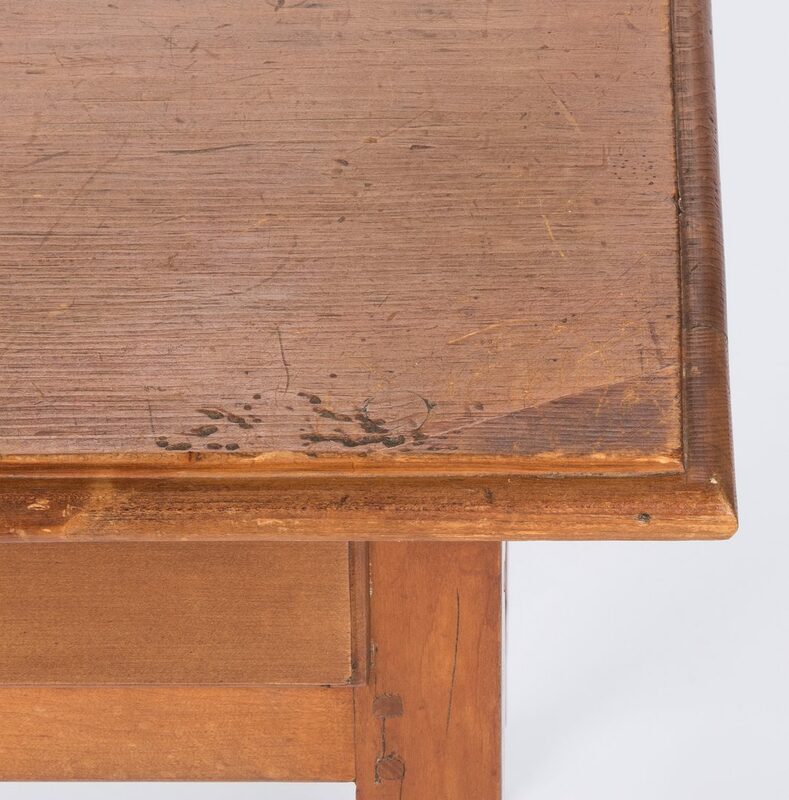 Top of drawer missing molding. 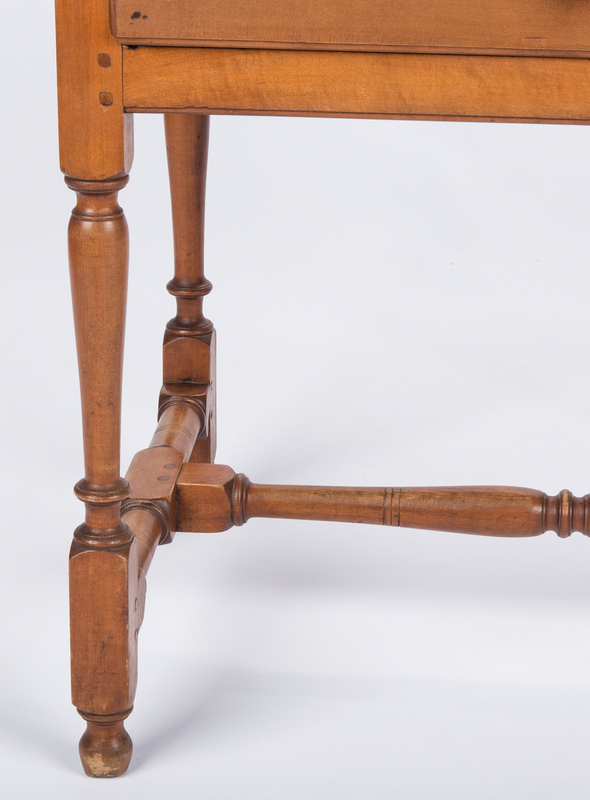 Older refinish.